If you can appreciate a gorgeous view, then you will fall in love with Lisbon, Portugal. Known as the “City of Seven Hills”, on top of each hill, there are viewpoints or “miradouros” that offer breathtaking Lisbon views. When I travel to a new city, I enjoy visiting vantage points where I can marvel at the landscape. I’ve climbed to the top of the Eiffel Tower in Paris and even hiked to the top of an active volcano in Guadeloupe just for a glimpse of the city and its nearby surroundings. 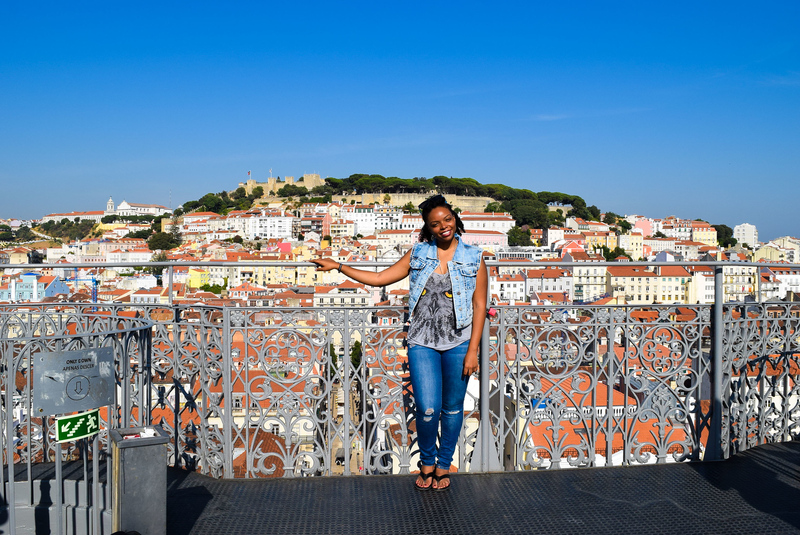 With many popular viewpoints in Lisbon, I wanted to visit as many as possible. 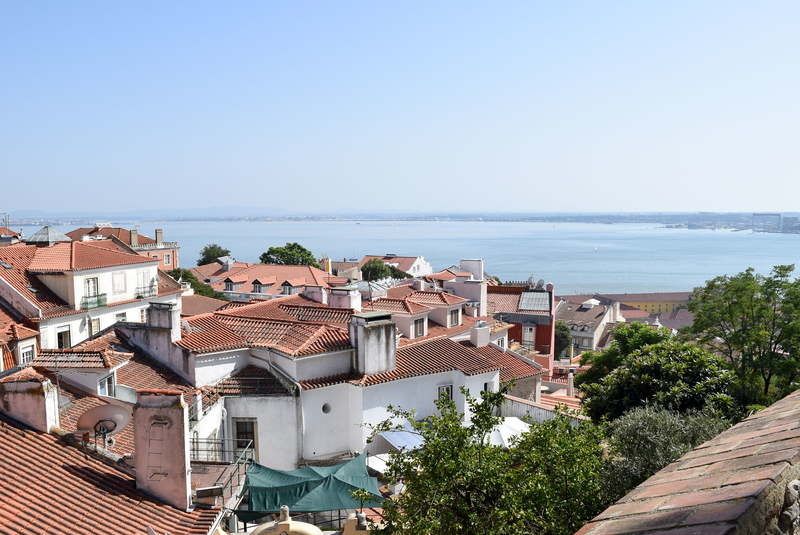 I visited five of Lisbon’s viewpoints, but I also discovered a few other places while wandering in the city – you won’t necessarily find these in a guidebook. From the top of winding staircases to the top of monuments and castles, each offered unique views of Lisbon’s timeless beauty. 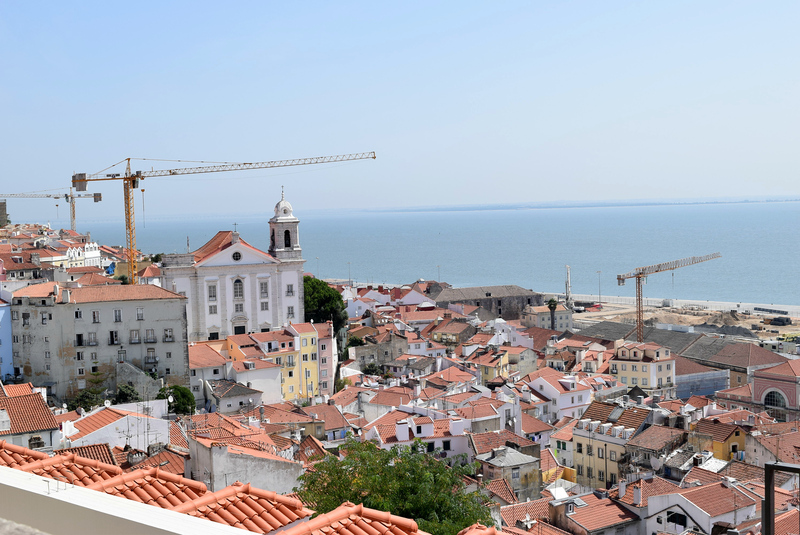 One of my favorite lookout points in Lisbon is the very popular Santa Justa viewing platform. 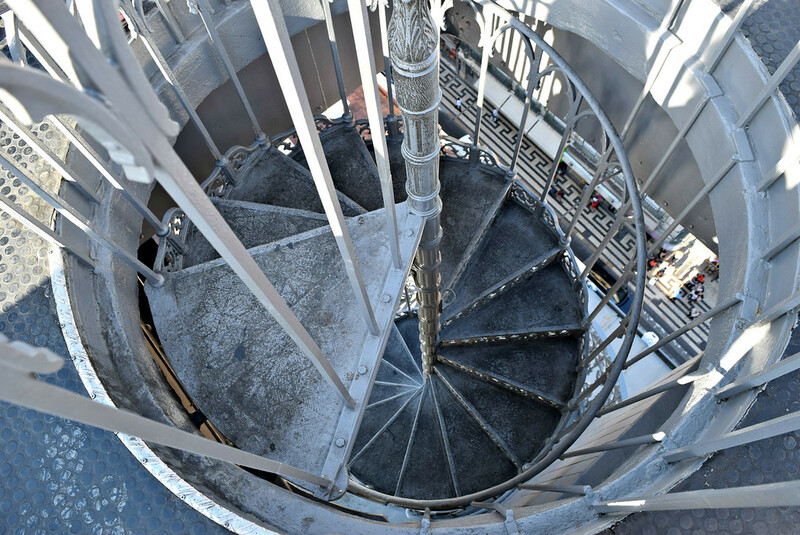 Considered the Eiffel Tower of Portugal, this seven-story iron tower was built by Gustave Eiffel’s protégé. 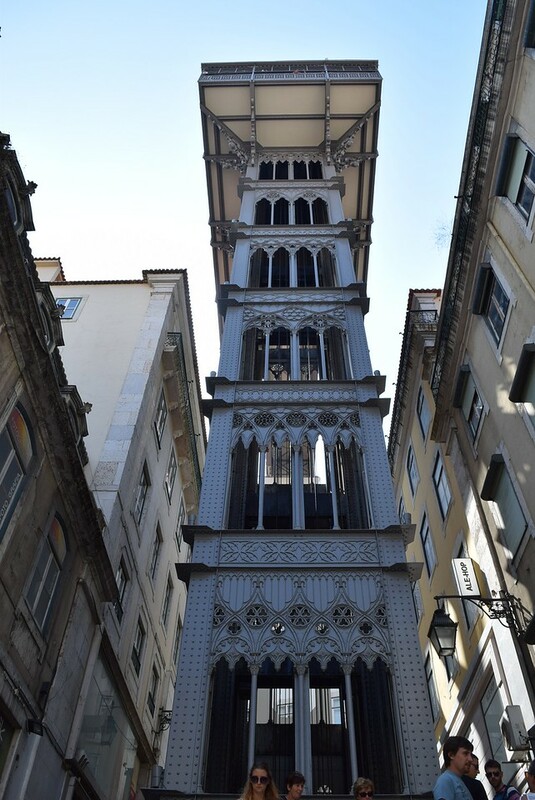 This 1902 neo-gothic lift resembles the Eiffel Tower and it’s the only vertical lift left in Lisbon. The lift connects the lower downtown Baixa district to the Carmo Square. The tower has a base, a viewing platform, and a walkway. Admission to the lift is 5,00 € but you can avoid the long lines and price of admission at the base by heading to the walkway behind the Carmo Church ruins. If you decide to head to the walkway instead of taking the lift, you’ll only have to pay 1,50 € for admission to the viewing platform. 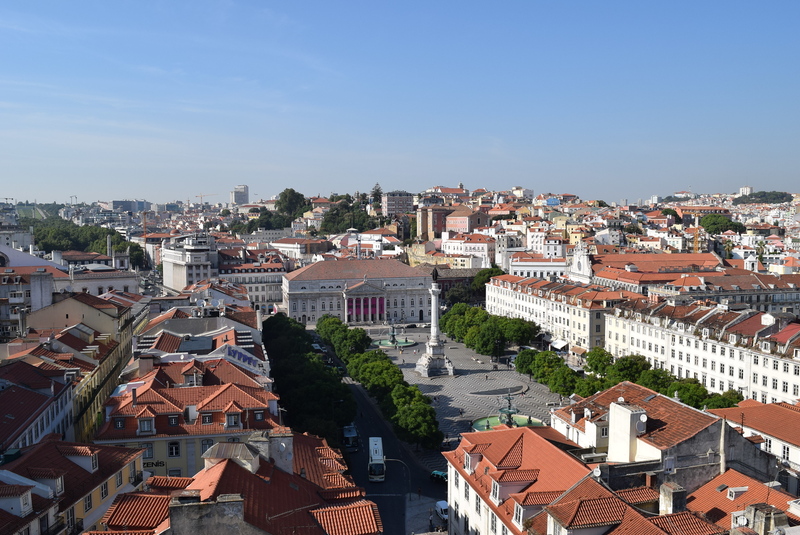 From the viewing platform, you’ll have fantastic views of central Lisbon including the iconic red terracotta rooftops and the Tagus River. 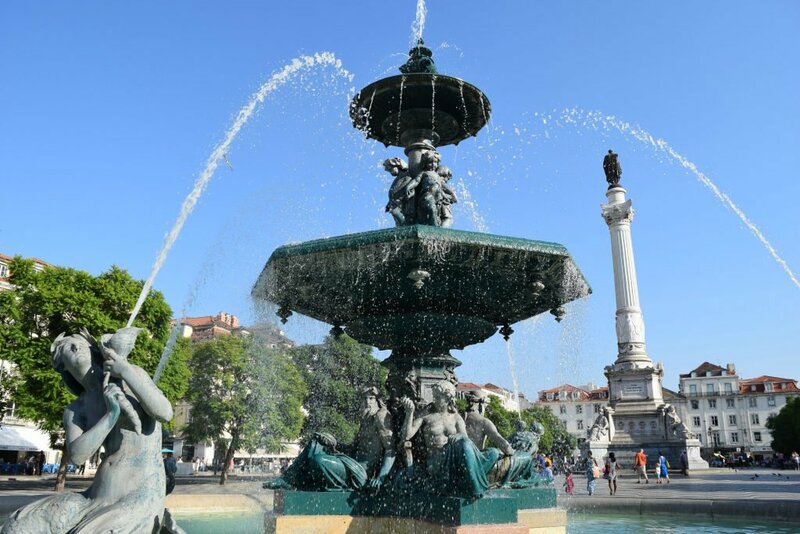 You’ll also see other landmarks like the Rossio Square, the Castelo de São Jorge, and the Lisbon Cathedral. Behind you, marvel at the arches of the Carmo ruins and see Lisbon in a whole new way. Bring your camera or sketchbook and be ready to capture the moment! 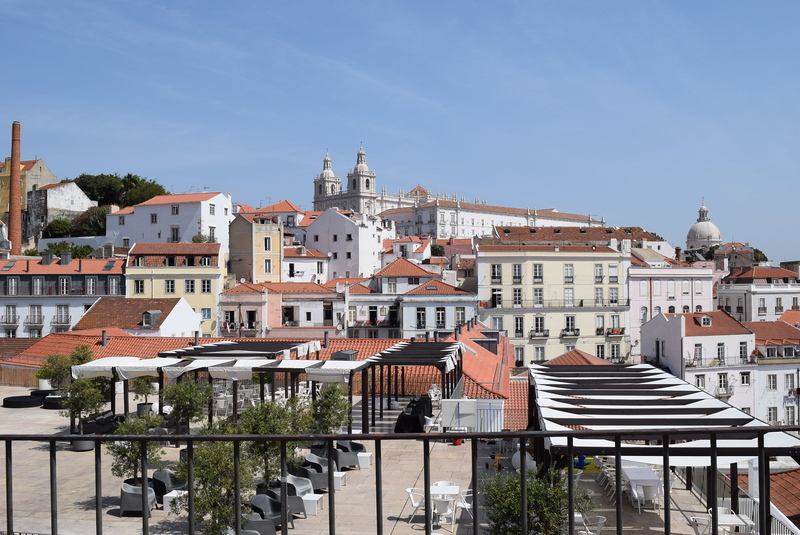 The Miradouro De Santa Luzia is a romantic terrace that offers sweeping views of the Tagus River and Alfama, the oldest district in Lisbon. Sample delicious grapes while marveling at the gorgeous views. 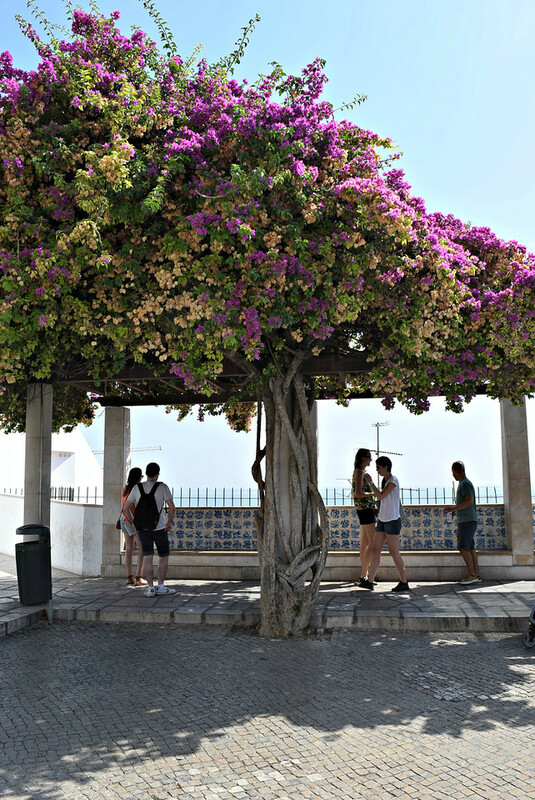 Next to a small church with the same name, colorful pink and yellow Bougainvillea cover the pergola. Here you’ll find local artisans selling their artwork and there is a small reflecting pool that you can dip your toes in. There are also two mosaic panels depicting historical moments in Lisbon’s past. One mosaic depicts the Comercio Square before the destructive 1755 earthquake and the other shows Christian Crusaders attacking the Castelo de São Jorge in 1147. The latter speaks to how sometimes you have to make sacrifices for the greater good. For a different perspective, before your trip to Lisbon plan to ride the 28 yellow line tram which passes the Se Cathedral and the Santa Luzia viewpoint. The number 28 tram starts at Praça do Martim Moniz (north of Baixa) and screeches through scenic Graça and Alfama. Blue colored azulejos mosaics, Comercio Square before the 1755 earthquake. The National Pantheon and the towers of the São Vicente de Fora come into view. 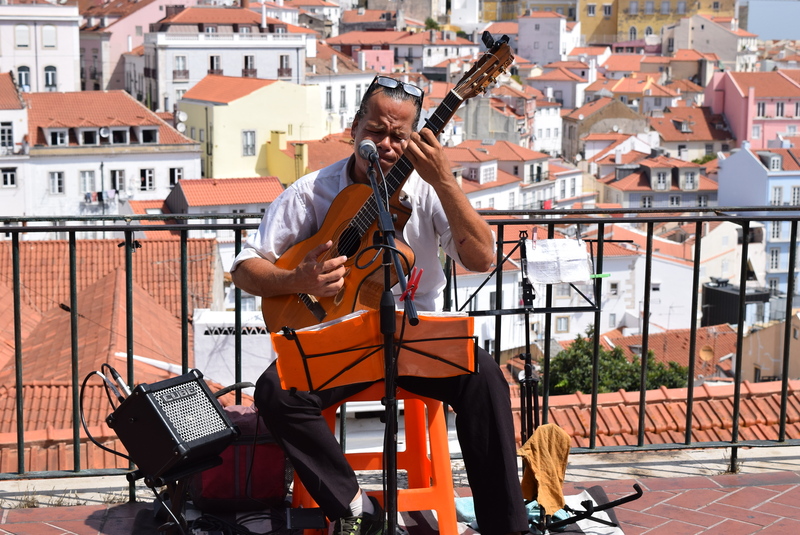 Not too far from Miradouro De Santa Luzia, visit the Miradouro Das Do Sol, a hilltop terrace that offers phenomenal views of Alfama’s rooftops, churches, and the river. Also known as “The Gateway of the Sun”, I adored this viewpoint – Alfama’s colors looked so vibrant here. 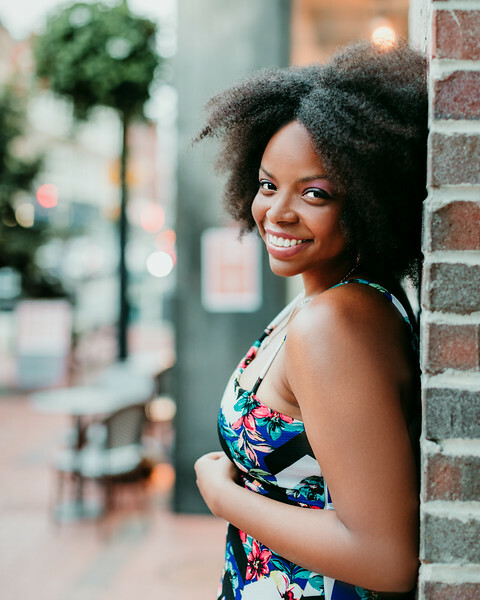 Grab a cup of coffee or enjoy a drink at Portas do Sol café down below. There are also lots of other cafés and cocktail bars nearby. Since Miradouro Das Do Sol is a bit touristy, it can get very crowded. The terrace has lots of street vendors, musicians, and artists – just avoid anyone who is overly aggressive especially when you are taking photos. Statues of heroes and gods from Greco-Roman mythology. 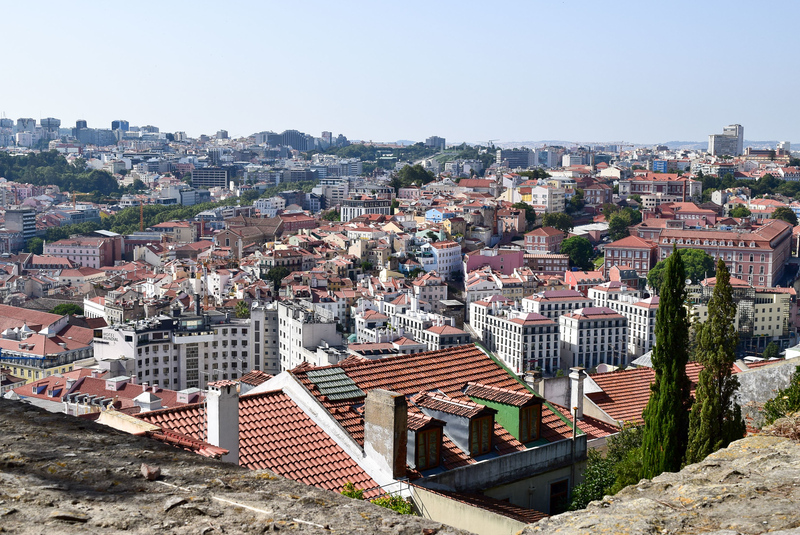 The Miradouro de San Pedro de Alcântara is another gorgeous viewpoint in Lisbon. Miradouro de San Pedro de Alcântara is a small two-level garden in Bairro Alto that offers panoramic views of central Lisbon, Alfama, the Tagus River, and Castelo de São Jorge. It’s also right across the street from one of my favorite hostels in Lisbon, Lookout Lisbon Hostel. The upper-level has a small open-air kiosk café that serves coffee, cocktails and light meals like soups, sandwiches, and salads. The upper-level garden also has a large fountain and shady trees that compliment the romantic city view. Have a picnic in the lower garden which is surrounded by green grass, flowers, and shrubs. 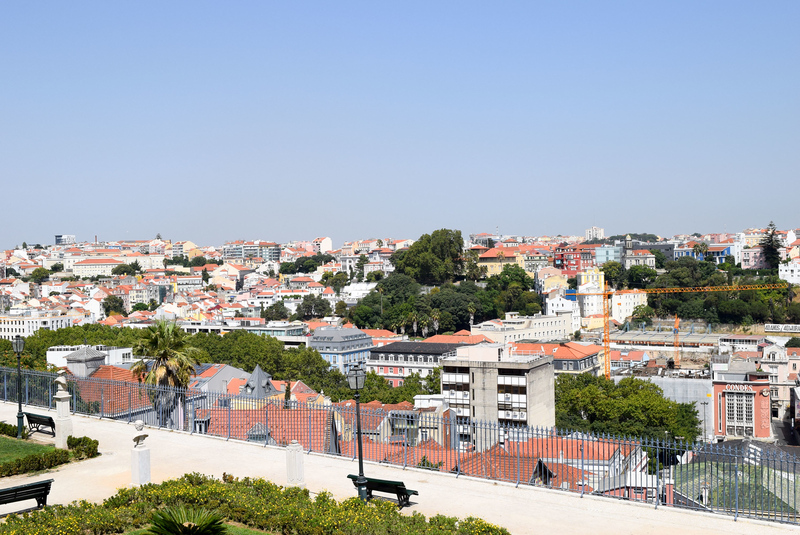 You can get to Miradouro de San Pedro de Alcântara by taking the historic Gloria’s funicular which connects the Restauradores Square to Bairro Alto, or you can walk up the hill. Once you get to the top of the hill, the garden will be on your right. 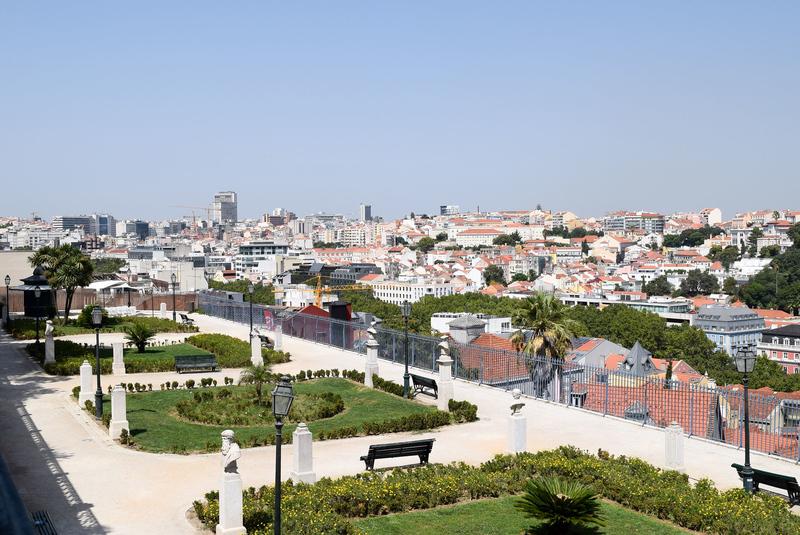 During the day this viewpoint is a peaceful retreat with dreamy Lisbon views but at night it’s a lively spot in town where partygoers meet before (and after) hitting up the restaurants and bars in Bairro Alto. Other sights to see in Barrio Alto include Pavilhão Chinês, a restaurant with memorabilia from the 18th century and an indoor pop-up market that sells handmade crafts by local artists. Dominating the city skyline, you can see the Castelo de São Jorge or St. George Castle from just about anywhere in central Lisbon. 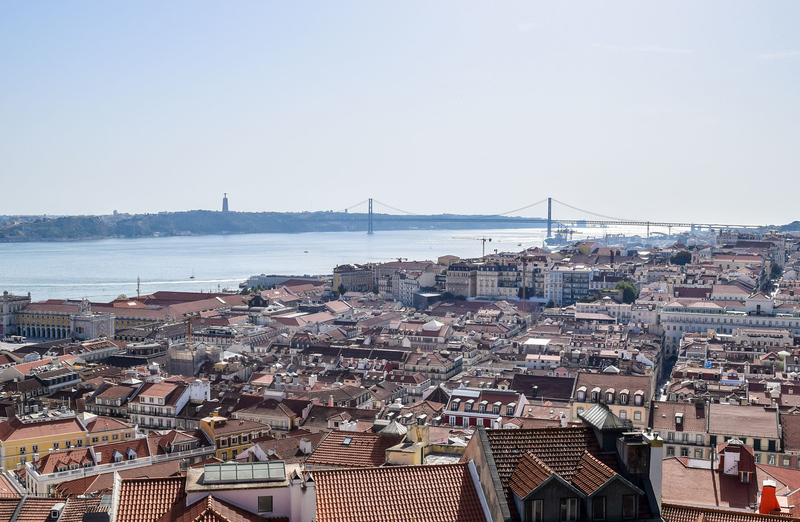 Atop the tallest hill in the city, climb the steep hill and brace yourself for one of the most breathtaking views of Lisbon. 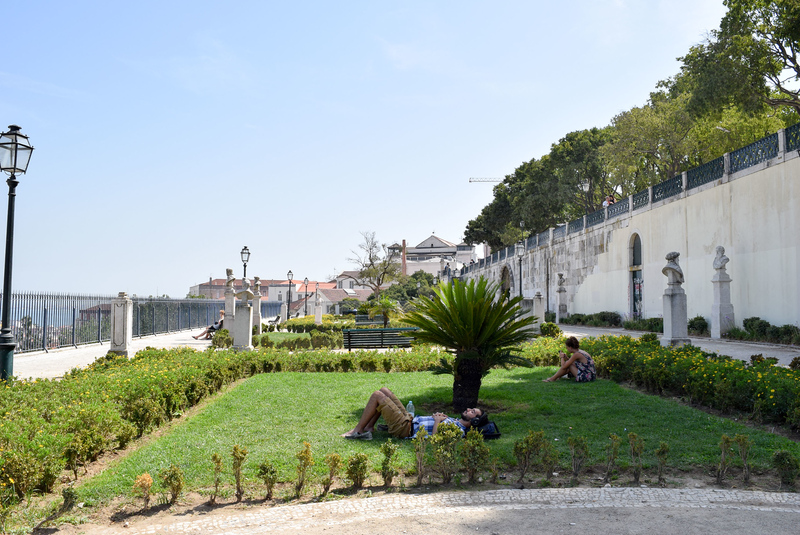 Wander around the outside of the castle and admire the Baixa district and the glimmering Tagus River down below. 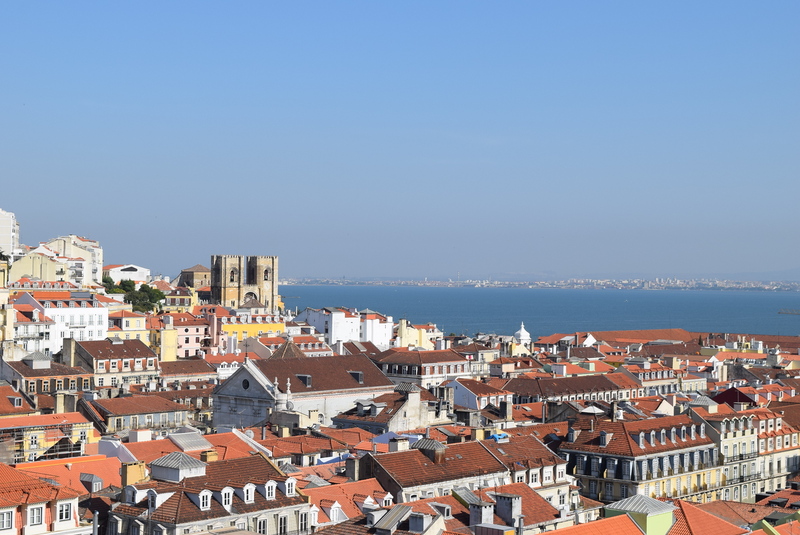 For even higher Lisbon views, you can also climb the castle’s towers. Other viewpoints that I sadly missed but hope to see next time I’m in town include the Miradouro de Santa Catarina, Miradouro da Graça, and Basílica da Estrela. 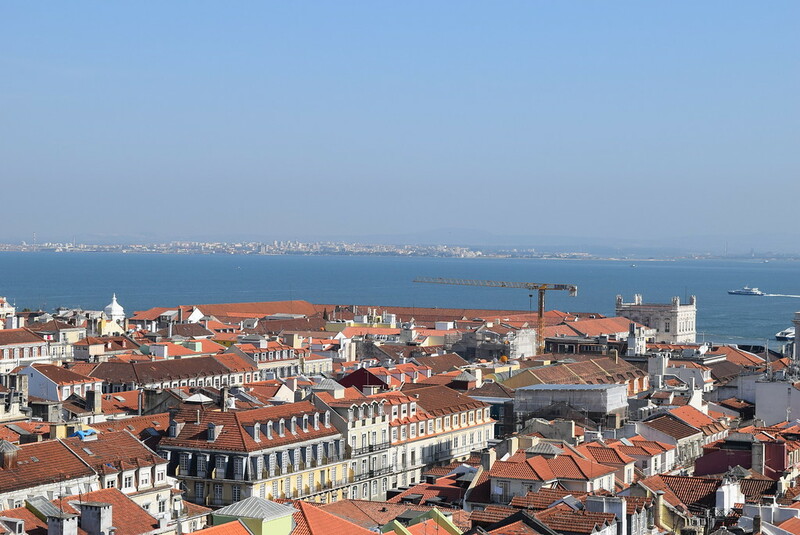 Enjoyed these Lisbon views, spread the word by sharing this post! Lisabon is definitely one of the biggest gems in Western Europe. I would love to go there again and check out these views. Wow, you have found some incredible places for Lisbon views!! Whenever I travel, I’m always on the lookout for these kind of places for photography. Great tip on the walkway behind Carmo Church ruins! Thanks Kat! Lookouts are my go to everywhere I travel. There’s something special about a magnificent view. Lisbon is one of those places that I keep telling myself I will go to but never seem to get there. 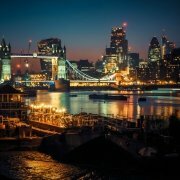 These pictures are amazing and now I really want to go! Thanks Claire – I never thought that I’d visit Portugal so soon since its usually so expensive to get to but I had a wonderful time! Let me know when you go! These are really spectacular views of charming Lisbon. I absolutely fell in love with the Santa Justa. The view is of course stunning. But I see that the lift itself as well as the stair case are so exquisitely designed, they are veritable pieces of art. On my next trip I want to ride the lift – although its touristy, its architecture is beautiful from afar so I can only imagine up close. Looks gorgeous and is definitely on my list. The grape vines and bougainvillea must have been magical. Yes, Lisbon was so captivating! I’ve never seen a city like it. I can’t wait to visit more viewpoints and discover more hidden spots next time. 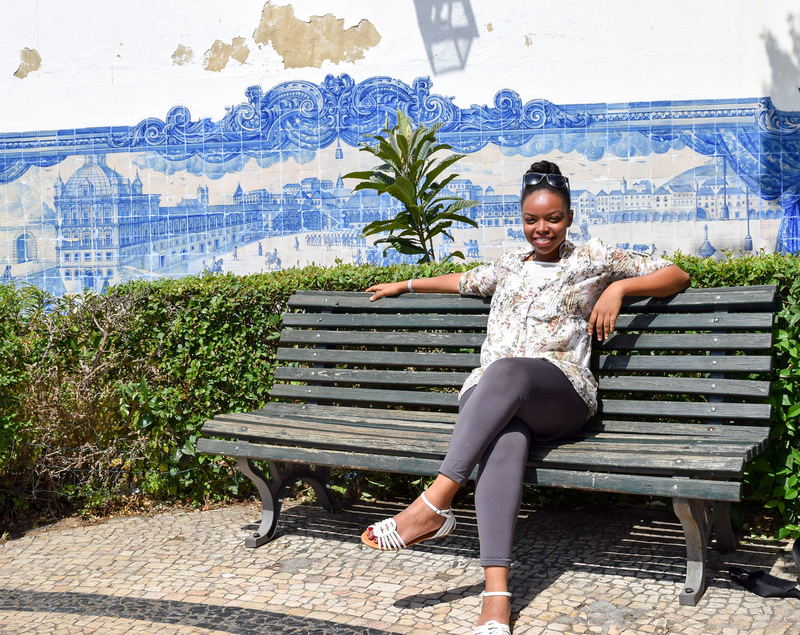 I loved Lisbon, and it’s so much more affordable than many other western European cities. There’s so much to see in the city and the food is fantastic!